A get-tough approach is sending scofflaws to jail for unpaid misdemeanor tickets. But it costs the county more to jail them than it generates for the city in ticket revenue and, now, even the sheriff is complaining. Detroit’s 36th District Court is the largest of its kind in the state and struggled for years with ticket payment collections and inefficiencies. A new get-tough approach, though, has caused controversy. On a chilly Thursday morning, 36th District Court Judge David Robinson walks into his courtroom wearing a dress shirt and slacks. As is his custom, he skips the traditional judges’ robe. “I keep it informal,” he says. A few minutes later, Robinson scolds a man for his clothing choices, calling him out for wearing a stocking cap in court. That’s because informality only goes one way in this Detroit courtroom, and business is anything but casual for about 20 traffic defendants. Pay traffic tickets today, Robinson tells the group, who have already been convicted of misdemeanor traffic offenses. Or go to jail. This is standard procedure for the weekly collections docket of the Detroit court, the busiest in Michigan. The state Supreme Court and 36th District Court established the special docket in 2013 to increase revenues as the city was sliding toward bankruptcy. Jailing those who can’t afford to pay fines or issuing warrants for their arrests is a tactic known as “pay or stay,” and it’s controversial nationwide. 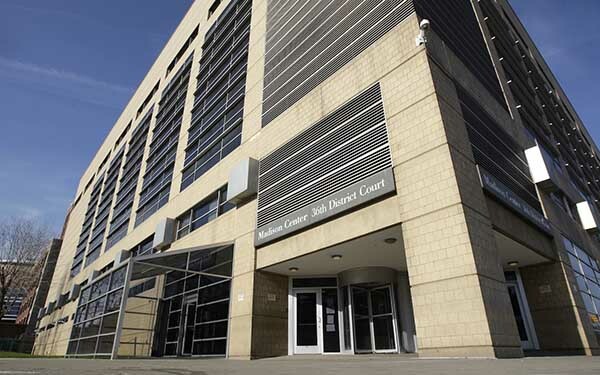 An investigation by Bridge Magazine, however, finds that the policy in 36th District Court – which was meant to generate revenue – may actually cost more than it collects, puts an added burden on jail facilities, and may violate state court rules. 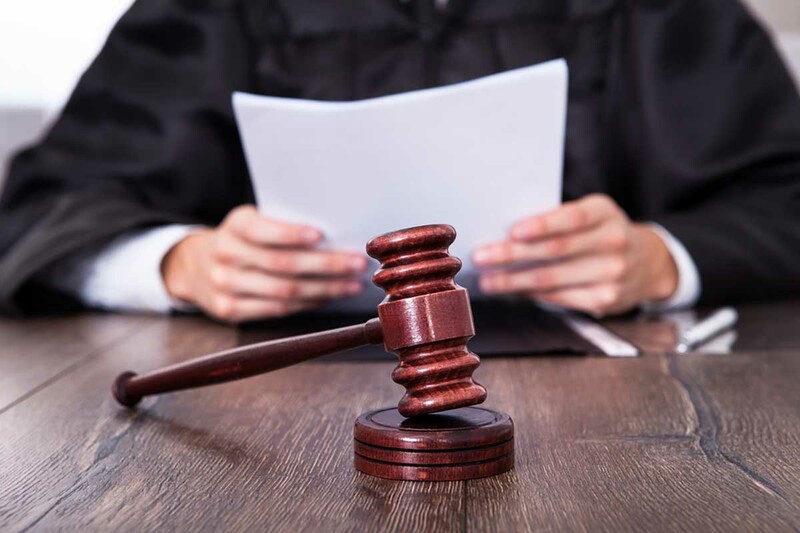 Michigan law and rules from the Michigan State Court Administrative Office say judges should consider a defendant’s ability to pay a fine whenever jail is on the line. Robinson acknowledges he typically doesn’t hold hearings to determine whether defendants in his courtroom can pay fines. Detroit 36th District Court Judge David Robinson says he doesn’t consider whether defendants can afford to pay fines before sending them to jail. “It is wrong and illegal to sentence a defendant to jail because of a debt owed to the court without first holding a hearing to determine the defendant’s ability to pay,” said 51th District Judge Thomas Boyd, president of the Michigan District Judges Association. traffic tickets, according to records obtained from the Wayne County Jail through the state’s Freedom of Information Act. A review of hundreds of jail and district court records shows they were jailed for an average of four days at a cost to taxpayers of $600 apiece, but in most cases they owed fines totaling half that amount. In extreme cases, defendants convicted of driving with a suspended license owed just $315 but stayed in jail for seven days, at a cost to taxpayers of about $1,050, according to jail and district court records. Nancy Blount, chief judge of Detroit’s 36th District Court, says her court is one of the most friendly to defendants in the state. The two months of records analyzed by Bridge are typical of the year-around makeup of the jail population, said Jeriel Heard, chief of the county’s jails. In Michigan, no money collected from traffic fines goes to reimburse county jails for costs of incarcerating inmates. In Wayne County, which includes Detroit, Sheriff Benny Napoleon said there are better alternatives than jailing people who don’t pay the fines. The county’s three jails, which have about 2,900 beds, are so overcrowded they regularly must release inmates. Detroit’s 36th District Court is by far the busiest in the state, handling 500,000 cases last year, 319,000 of which were traffic cases. In a narrow sense, Robinson’s collection docket has increased revenues. Traffic fines are expected to increase this year to $12 million, up about $1 million from the year before Robinson’s docket was created. He argues that other judges already have convicted defendants before they enter his courtroom, so there’s no need for him to assess whether they can pay the fines. “That ship has sailed …. I say it in my courtroom all the time. I’m not a disc jockey. I don’t take requests,” he said. Robinson said that, despite his tough talk, he rarely sends people to directly to jail and works to put defendants on payment plans first. During two months of records reviewed for this report, Robinson’s cases typically ended in warrants for defendants’ arrests because defendants failed to appear. That is true of the court overall, where 64 percent of traffic misdemeanor cases end in warrants. Robinson said the collections docket ensures the court dispenses “accurate and predictable enforcement,” which wasn’t always the case a few years ago as Detroit descended into bankruptcy. Community activist Clark Washington said the court’s reputation for jailing those who don’t pay is counterproductive because it keeps some defendants away. Those who can’t afford to pay tickets are less likely to appear in court, leading to more drivers with suspended licenses and driving without insurance, said Washington, an organizer for Detroit Action Commonwealth, a group that advocates for the poor. Nancy Blount, chief judge of the 36th District Court, said the 30-judge court is one of the “most defendant friendly courts in the state.” Even so, her court made news in May by banning all pens, pencils and other “writing instruments” for everyone except lawyers and “properly credentialed” media. The ban is supposed to protect the court’s new murals from possible vandalism. “The only thing you need here is cash,” said a security guard recently to a young woman waiting to pass through the metal detectors on her way into court. Boyd, president of the district judges’ association, said it’s possible to have good collection rates without the tough strategy. State Court Administrator Milton Mack, whose office oversees the state’s 135 district and circuit court judges, has issued guidance strongly stating that courts should determine if defendants can pay fines. “Ability to pay is something that needs to be considered whenever somebody is at risk of being incarcerated,” Mack said. Even so, the state office rates 36th District Court as complying with “all required components of a trial court collections program.” The office’s regional administrator, Paul Paruk, declined to comment in detail on the collections docket. “It’s hard for me to comment on a practice that I haven’t looked into and that nobody has complained about before,” Paruk said. Is pay or stay fair? Pay or stay is a controversial approach to justice nationwide. Courts from Houston, Texas to Eastpointe, Michigan have used tactics harsher than those in Detroit. In Eastpointe, the ACLU sued over a woman who was threatened with jail because she couldn’t immediately afford to pay $445 in fines for failing to have her dogs licensed. After the suit, the judge agreed to end the practice. The Michigan Secretary of State also was recently hit with a class-action suit by a civil rights group, Equal Justice Under Law, over its practice of suspending licenses of motorists who have safe driving records but can’t afford to pay traffic fines or court fees. The suit named two impoverished Detroit mothers, Adrian Fowler and Kitia Harris, who had licenses suspended after failing to pay routine infractions. David Hogg, a retired judge in northern Michigan, said the state’s reliance on fines to pay for court operations perpetuates pay-or-stay practices. “This is a more difficult problem than just a bunch of mean judges sending poor people to jail,” said Hogg, who was a judge in the 84th District Court in Wexford County. In Michigan, traffic fines have a way of multiplying because of added court costs and fees. A $25 ticket for driving with an improper license plate, for instance, actually costs $225 after adding on $75 for a crime victim rights assessment, $50 for local court costs, $25 for an attorney fee fund and $50 for state costs. The state costs are distributed to 18 funds, ranging from judicial pension systems and libraries to highways. Robinson and the 275 other judges in the state’s 105 district courts can waive the $50 state costs if defendants are declared indigent. The 36th District Court cost $34 million a year to operate last year and brought in about $26 million through fines and fees (less than half of which was traffic fines). The state took $9 million of that. A state House Fiscal Agency report from last October conservatively estimated Michigan collects $100 million per year from traffic fines. The money pays for the salaries of the state’s district judges and leaves the rest of the cost of running the courts to municipalities. Solutions aren’t easy because there needs to be consequences for breaking the law, Hogg said. Alternative sentences like community service may work on a limited basis, Hogg said, but there “aren’t enough probation officers in the world” if it was more widely used. Alexandra Natapoff, a criminal law professor at Loyola Law School in Los Angeles, is writing a book about how courts handle low-level offenses. She said fines have gotten out of hand. Robinson’s collections docket was created, in large part, because the 36th District Court didn’t collect enough money. A report commissioned by the Michigan Supreme Court concluded the district court needs to “get serious about its collection efforts to promote public compliance” and ensure “scofflaws” pay. The state also criticized the court’s use of a private collections agency that kept 20 percent of all ticket revenue. The state found the court was inefficient in expensive and darkly comic ways. Among other problems, a state investigation found that 183 computers were scattered throughout the court, none was ever turned on and no court employees had email addresses. The court was so antiquated that the Michigan Supreme Court had to pass out paper copies notifying workers it was assuming “superintending” control of 36th District Court. Hartmus, the political science professor, said the state should not be treating the court as a city department, even just financially. When the state stepped in and set up the docket, it reported that revenue from overall collections – including all fines, not just those related to traffic offenses – increased about 17 percent to $2.4 million a month. Since 2014, when the state stepped aside, the methods used for collections have become more predictable, but attorney Charles Hobbs said the methods are questionable. Hobbs works for a nonprofit legal defense project called Street Democracy and represents military veterans and people struggling with homelessness in Wayne County. One of his clients, Lorinzo Ervin, wanted help navigating the collections docket. Ervin pleaded guilty in 36th District Court to having an open container of alcohol in a vehicle and was ordered by the court to pay $385. At the time, he said he was homeless and looking for a job and avoided the court because he couldn’t pay the fine. A few months later, Ervin got his life together and went into Robinson’s courtroom for what’s known as a show cause hearing. These hearings are the bread-and-butter of the collections docket and are supposed to be a last chance for defendants to explain why they shouldn’t be held in contempt and sent to jail for not paying their fine. Ervin wanted a chance to give his side of the story. “I Googled ‘show cause’ hearing before I went and did some research. I was prepared,” he said. But Ervin said Robinson didn’t seem to want to give him a hearing. “He was really mad and yelling at me, saying, ‘You are entitled to that hearing but you still might go to jail. So are you sure you want it?’” Ervin remembered. Robinson acknowledged he rarely holds a hearing and says he goes “literally months” without one. Instead, defendants deal with the court clerk to set up payment plans while Robinson sits nearby. There is no way to verify Ervin’s account. Because Robinson rarely calls court into session, what goes on in his courtroom isn’t transcribed by a court reporter, meaning there is no official record. Ervin said he got his hearing and with it more time to pay, but he said the court made it hard for him to pay. That delayed efforts to get his back his license, which he said he needs for his new job at a moving company. He said he was told by court staffers he would soon receive a summons for another hearing. After one didn’t arrive by mail for two weeks, he phoned the court. When he did, Ervin said he was surprised to learn he had a warrant for his arrest from the ticket. That’s when Ervin thought he needed a lawyer and connected with Hobbs. Ervin’s original fine of $325 had increased by $200 because of late fees and warrant costs by the time he went back to court. When court officers called his name, he said he was detained within the courtroom, put in the jury box, and told he could not leave unless he paid half his fine that day. Ervin said he only had enough money to pay for the cost of the old ticket, not the additional costs. Hobbs came into the courtroom a few minutes later and was able to negotiate the amount down to keep Ervin out of jail that day but he said he wasn’t happy with the way his client was treated. “That is basically an unlawful arrest,” said Hobbs. Hobbs questions if threatening jail even for those willing to work with the court makes sense. The solution to this is very straightforward: Seize the vehicles of those cited at the time of the infraction and do not release them until they pay their fines in full. If they don't pay, sell the vehicle at auction to cover the costs. Bad drivers are literally taken off of the road (to everyone's benefit) and local units of government do not have to take a hit. And when they can't get to their jobs, they will get the money to pay, how? Simple, it will be a lesson that if you want to be an adult, that there are certain responsibilities that automatically come along with it. Did you catch that part in the piece above regarding someone driving with an open intoxicant in their vehicle? If/when that person plows into another vehicle or person, what will you argue on their behalf then? "Sorry that your family and friends are injured or dead, but those darn tickets are just too high for them to pay"? Instead of fines (ha ha)or jail, next time they are caught driving, why not confiscate the car they are driving? A long walk home to explain what happened to the car would make laws something to take seriously. This piece notes that part of each fine goes into the "judicial pension system." In other words, if a judge finds someone innocent, then his or her pension is not augmented. If a judge finds someone guilty, the magistrate fattens his or her pension. Talk about a conflict of interest! By the way, I understand the same is true for police pensions. If the patrol officer does NOT write you a ticket, his or her pension fund gets no infusion of money. What a disgraceful arrangement. As smart as we believe we are, one would think we could do better. No matter how you pretty it up, debtors' prisons are medieval. Taking away a car means no way to get to work. Many people need their car FOR work. There is no justice in a system that allows rich people to walk, while poor folks get jailed. Fines, late penalties, and charges can quickly build up to a point that a person earning minimum wage can NEVER pay it off. Jailing someone without first determining if he is truly contemptuous or genuinely does not have the ability to pay costs ME money, builds resentment against the courts and law enforcement and serves no useful purpose. People who speak so blithely of confiscating vehicles are people who've never had to choose between feeding a child or paying a fine. AND, let him who has never, ever, made a driving mistake cast the first stone. Interesting concept that penalties for breaking laws should only apply if you (in someone's consideration) can afford the penalty. Shouldn't this be considered in all cases? Can't send someone to jail if they have kids (or grandkids)? The fact that they deliberately or carelessly break laws isn't evidence of their attitude concerning the law? Interesting world you'd create. And yes I've paid fines in the past even ones that I thought were unjust, but I don't do what ever it was again which is the point. And don't we have public transportation or Uber for people who don't have a car or can't drive? If not, judging from the public transportation millage on my tax bill, we're all getting ripped off. I see people are still using the very tired "debtors' prison" meme. This reminds me of when the ACLU wanted to get 15-minutes of fame and go after Judge Gerds in Eastpointe who was working to get those cited for infractions to pay their fines just like was mentioned above. I've read the ACLU's court filing on that one . Pretty much everyone attached to that lawsuit had MULTIPLE infractions that they made no effort to address. If you want to be treated like an adult, you must first act like a adult and accept responsibility for your actions. If you won't, then call Lyft/Uber or take the bus. Trying to determine if a person has the ability to pay a fine is a slippery slope. It reminds me of my parents who routinely would plead poverty but always could find money for lottery tickets. As I see it the challenge is to create respect for the law and personal responsibility to obey it, or suffer the consequences. If one cannot pay the fine, how about payment in kind, or in other words, perform needed work for the community. Lots of trash needs picking up, lots of lawn to trim, potholes need fixing, no end to the type of jobs that could be done. Plus, all the hard work might make one think twice before running that stop sign or driving on a suspended license. How about making the STATE fully fund all court operations itself (NO FINES OR PENSION CONTRIBUTIONS FROM COURT FINES OR ANYTHING, PERIOD). This must including all Judge's Pensions . No fines fund anything but the State's General Fund. Thought We had a SupCrt case on point that no Judge's "compensation" shall come from any Fines imposed? Secondly, fund all probation officers and start doing community service big time as their are tons of things that can be done. NO MORE JUSTICE ON THE CHEAP (we tried that with court appointed attorneys resulting in more than 2 decades of wrongful felony convictions that are not worth the paper they are printed on - if you pay a Court Appointed Defense Attorney $200 per-felony-case -- you get $200 defense - meaning only a Guilty Plea even if your innocent as your not doing a Jury Trial for $200 -- (as the Prosecutors always over-charge for this very reason). Get real people, real Justice system costs money as you cannot do it on the back of poor people. I say garnish checks. Stop wasting time. If they don't have jobs reposes anything of value that belongs to them for resale! This whole court situation is B.S. I have had a driver license since 1980, I have driven all over the country, Hawaii, the entire west coast never no major problem, then i move back to Michigan in 1996 and drove up until 2008 with no problem and then i got a bogus ticket by some cops hunting people on the eastside of detroit. I ticket jumped up to $758, for a single man with one income giving up $758 plus late fees/other expenses of the court, makes a person to have to make a choice to eat or pay a outstanding ticket. Then most of the time the court don't want to let you have a payment plan and so you now have to decide to come to court and go to jail or find away to get this extra money. Also all drivers who gets a ticket, aren't bad drivers/drinkers etc, again i been driving since 1980, Michigan is the only state so money hungry all about ticket money. You taking good people off the road too !!! By suspsening their licenses, making them pay double/triple fees and i see people out here day in day out, violating traffic laws. So for all the people acting like they never broken a traffic law get over yourself, you just haven't been caught yet !